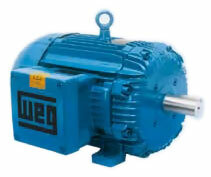 Owen's Electric Motor Rewinds Gympie - supply a large range of new electric motors, VS drives and gearboxes. At Owens Electric Motor Rewinds we are able to supply you with a large range of new electric motors, VS drives and gearboxes. With gearboxes with ratios from 1.24:1 through to 8870:1 and torque from 5 Nm to 60 000Nm we can supply the right combination for your application. Owen’s Electric Motor Rewinds can supply universal mounting gearboxes for various applications and can offer a range of spare parts and service to get you back on track. Owen’s Electric Motor Rewinds with over 20 years of service WEG dealers and recommend WEG products all with national backup service. 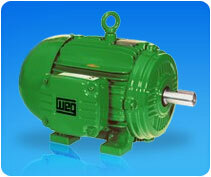 Click here to find out more about WEG Electric motors, gearboxes and drives. Whatever the electric motor, you need in single phase or three phase, VS drive or gearbox, contact Jeff at Owen’s Electric Motor Rewinds.